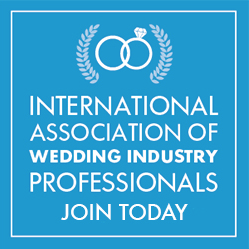 To take advantage of your complimentary 1 year membership in the International Association of Wedding Industry Professionals, and also receive 1 year of access to Chris Jaeger’s Book More Weddings INNER CIRCLE, fill out the form below. Then follow the directions on the next page and watch your email box for more information. Take advantage of this special offer BEFORE January 31, 2019.